Nanomaterials Frontiers is meant to cover exciting new and recent research advances in field of nanomaterials, smart materials development, new notable technological advances at nanometer scale research and path breaking research finding in nanomaterials advances. 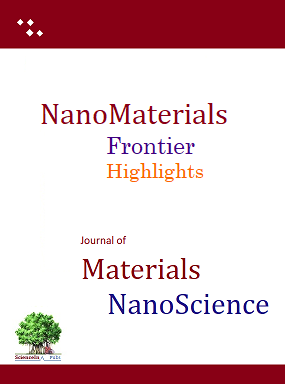 The Frontier research in nanomaterials covered from all literary sources highlighted as breakthrough findings in form of summarized reports ‘Nanomaterials Frontiers’ be published combined in print form of ‘Journal of Materials NanoScience’, however, selected highlights will be published online as well. The summarized highlights would provide a quick grasp of latest advances to scientists and young researchers. Researchers are invited to submit the reports for covering in highlights/frontiers as small summary write up in simple lucid presentation (for easy understanding by novice researchers) extending upto 2 pages. The report should include new title and 2-3 pages/paragraphs summary along with references to original source. Selective images and created graphics may also be included in the report. The report author should also submit his/her biography (passport photograph and affiliation). Submit by email to pubs @ thesciencein .org or may submit by form below. The editorial board reserve the right to select suitable highlight report for publication or not to consider.